Hey hey! 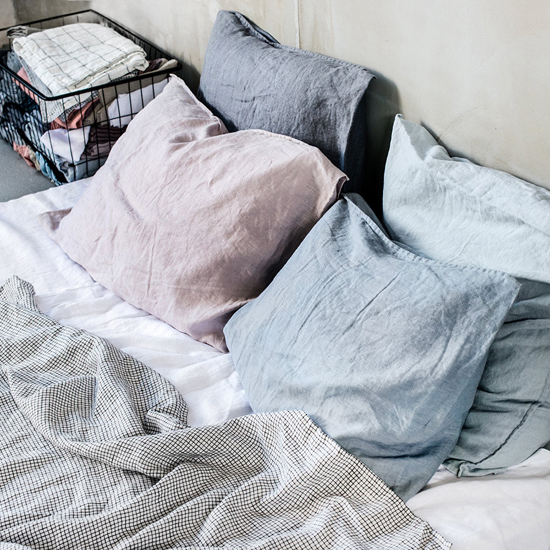 I’ve compiled this new Lovely Things post and I’m clearly feeling pink and pastel hues, shine, special details, lounging, love, leather, and cocktails. I hope you find some things here that make you smile during another difficult week. Sending out so much love and strength to you all during this emotionally trying time. Find more LOVELY THINGS. I adore this pink linen ruffle top and the matching pink linen culottes. … AND this pink linen ruffle sleeve dress from a totally different designer! 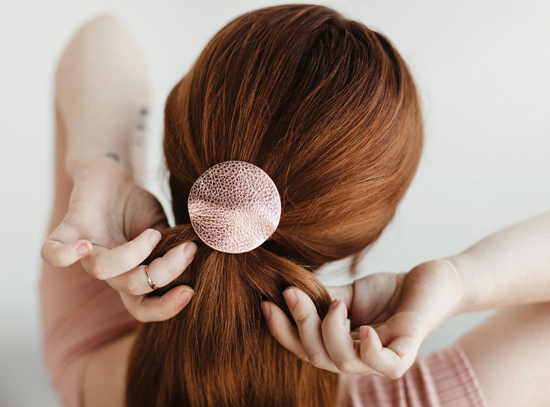 I’m cuckoo for these leather circle hair ties. Every color, please! 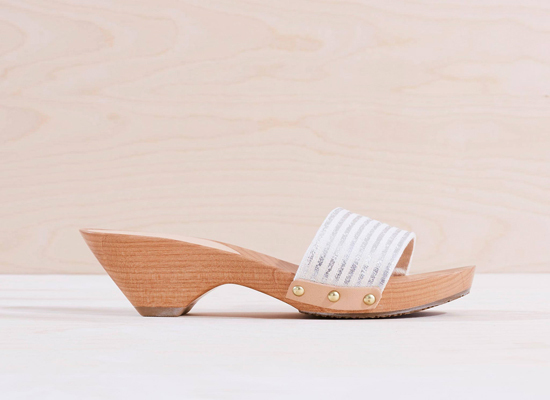 How dreamy are these sandals!? Painted canvas. Leather. Wood. Brass. These and these, too. YES! I LOVE these amazing nudie lady mirrored pins and matching nudie lady earrings. Adorable. This white cotton tunic dress is so lovely for summer days and nights. 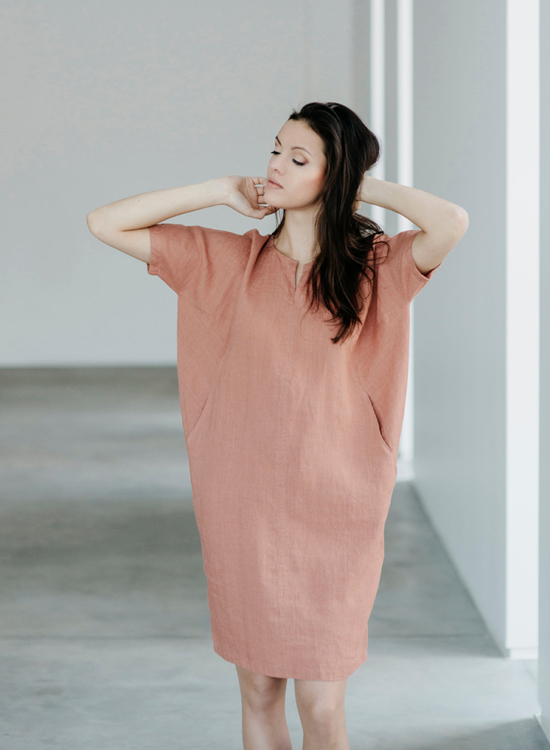 I’ve mentioned this stunning blossom-hued linen dress before — such a good shape! STAAAHP! This sweet peanut and her linen bubble romper are the cutest. 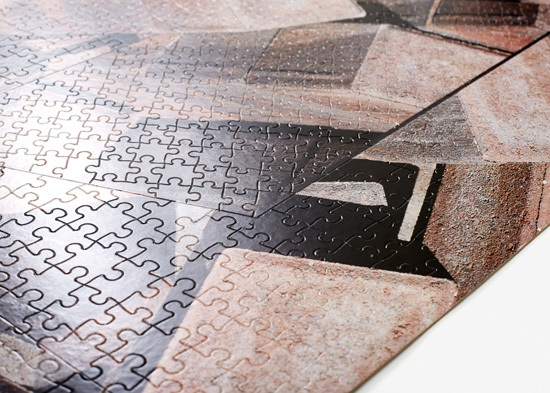 I’ve been thinking of taking up puzzles as another way to chill out during these trying times. 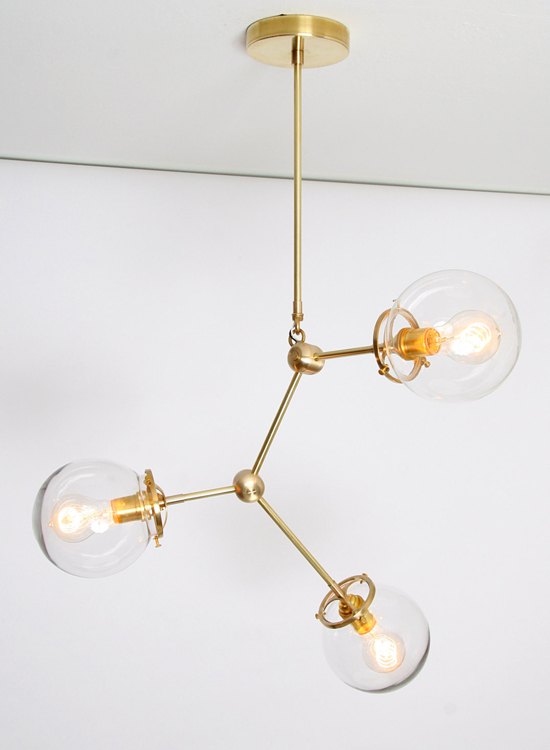 This beautiful pendant light inspired by molecular biology would be so nice in our office. 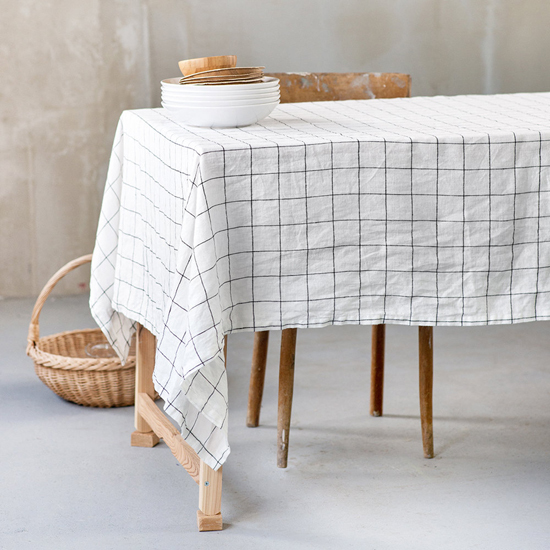 I’d like to add this big checks linen tablecloth to my slowly growing table linens collection. Oooof! 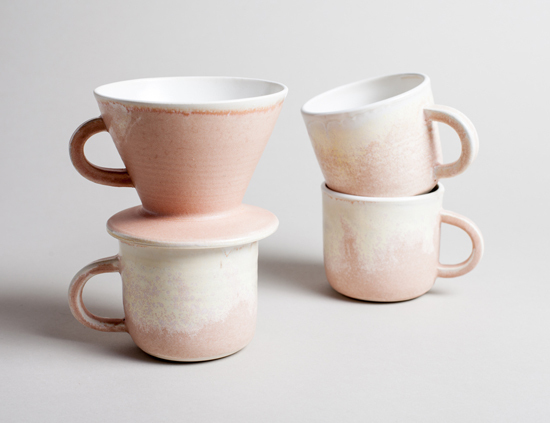 So into this variegated pink coffee dripper and pink mugs. 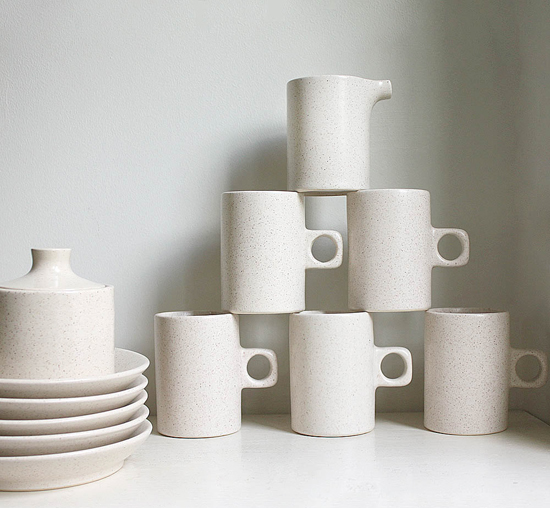 Come to my house beautiful 1970s minimalist lunar range stoneware set. 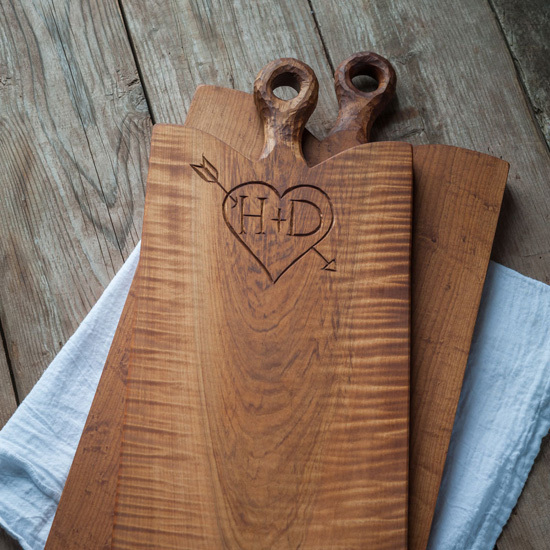 Let’s carve our initials in a pretty breadboard — such a sweet, romantic gift! 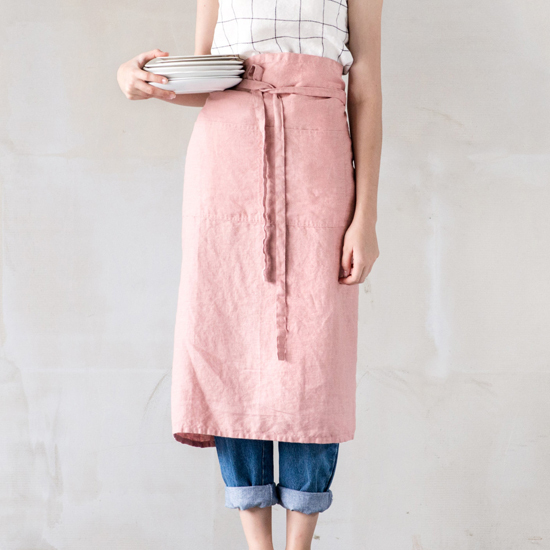 I’d like this long linen apron in blush AND in stripes, large checks, and small checks! 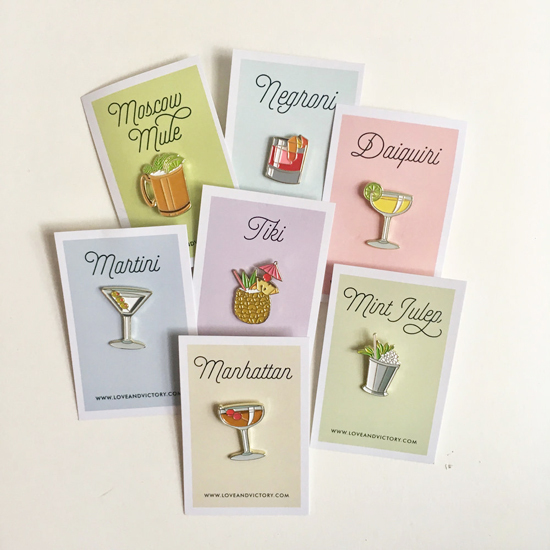 Loving these little enamel cocktail pins! Manhattan and Negroni, please. 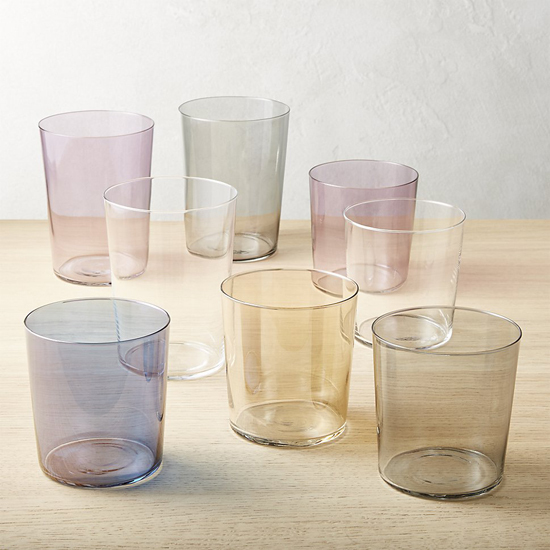 Feeling this new glassware in lilac, dusty blue luster, and gold luster. 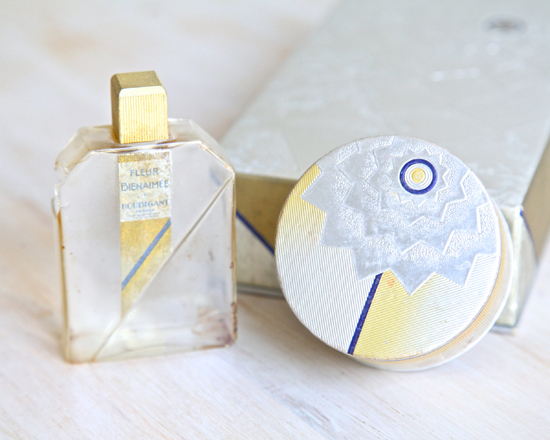 The design of this 1930s art deco cosmetics set is a wonderful sight to behold. 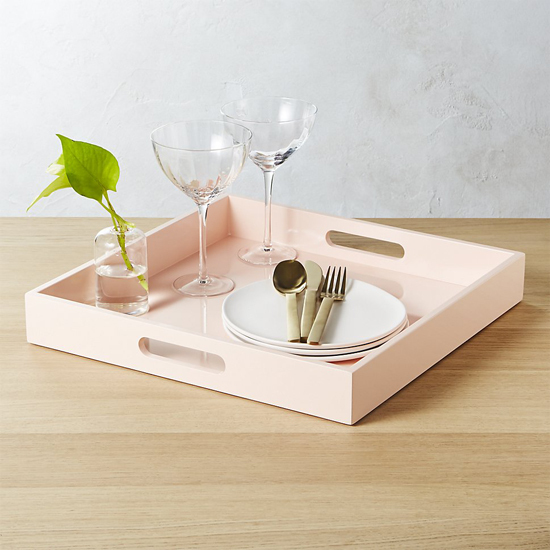 I could definitely find a lot of uses for this glossy pink tray. 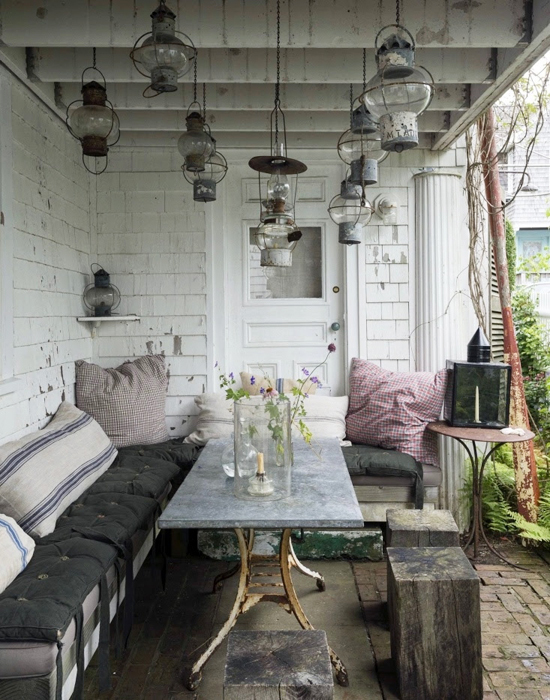 … and then spend a long summer day lingering here sipping rosé, snacking, and laughing.